Monday being a national holiday meant that my garbage pickup is pushed back one day. In the spirit of the holiday, I pushed Meatless Monday off as well. The weather has been a mitigating factor in the last two dinners here at Al Dente HQ. Monday evening’s sausage, peppers and onions were moved indoors when the skies opened and the lightning came. Of course, that happened when The Wife and The Kid were in the neighbor’s pool. We relocated to safety and I decided not to stand outside in the driving rain behind a stainless steel lightning conductor attached to a tank of flammable gas. Tuesday’s weather was just annoying rainfall, which pushed apple-cheddar burgers back to tomorrow night. Well, the weather was one reason. The fact that I forgot to take the ground beef out of the freezer to defrost was another. 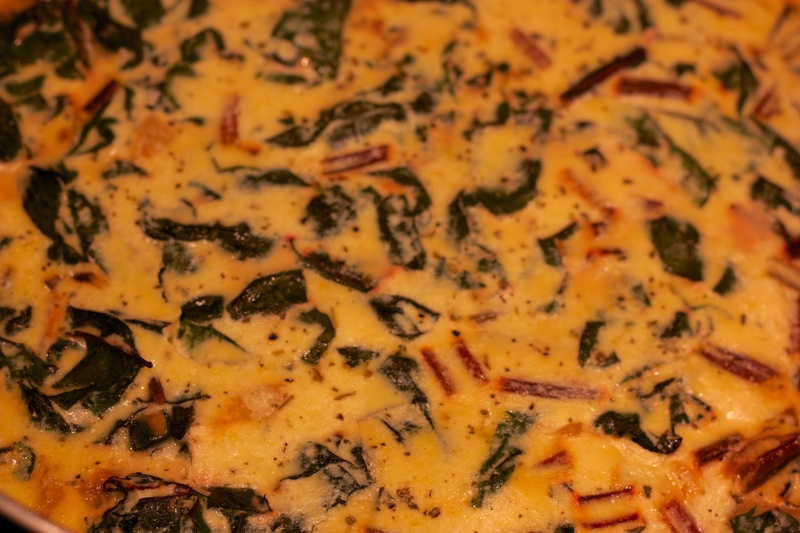 So, a quick stop to Wegmans on the way home yielded a $2.29 head of red Swiss chard and dinner was in gear. I used the Jittery Cook’s recipe as a starter, mostly for measures and ingredients. For instance, I would have never thought to add ricotta cheese. 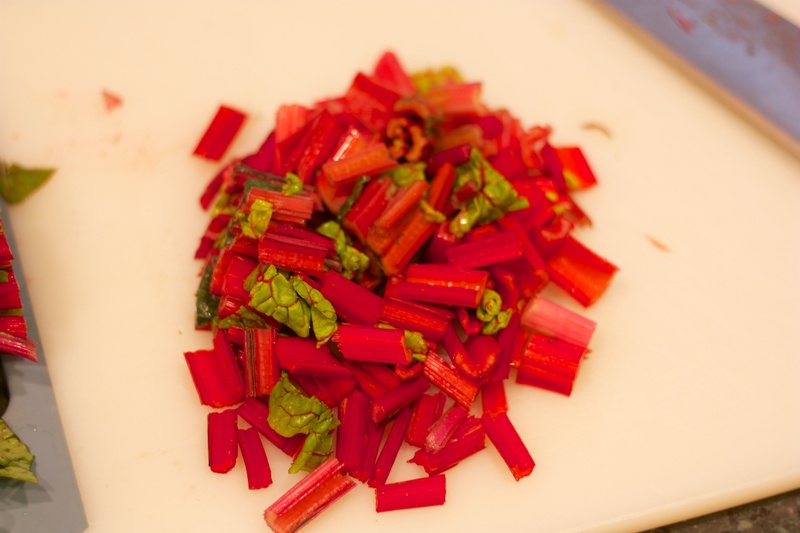 WHAT WORKED: The chard was really good. It took quite a bit of cleaning to get the the dirt and grit off, but it was well worth it. When combined with the other flavors, it lent a tomato-like flavor and scent to the dish. WHAT DIDN’T: Me, for the aforementioned reasons and because it was a smidge watery. I probably didn’t ring the leaves out enough. WHAT DID THE WIFE SAY: “This looks yummy. What is it?” I love that question. WILL IT MAKE ANOTHER APPEARANCE: It has all the hallmarks of a wintertime dinner. Heat olive oil in a large oven-safe skillet over a medium-high burner. 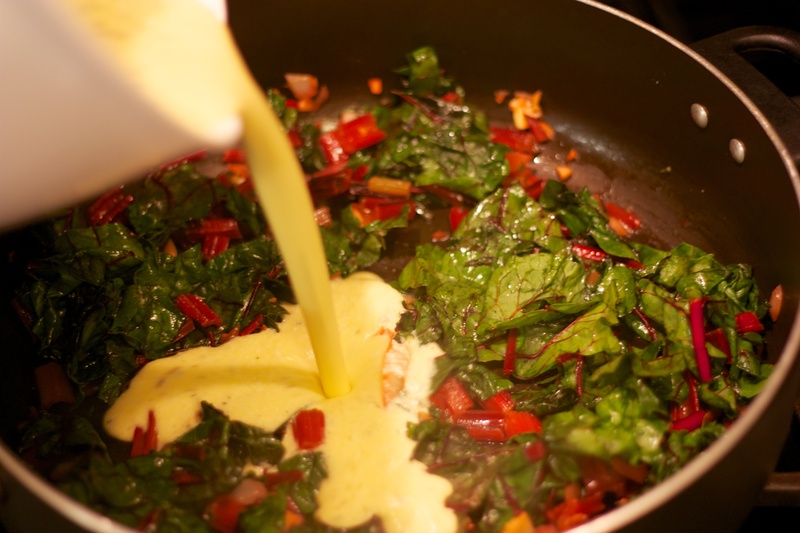 When the oil shimmers, add chard stems, onion and garlic. 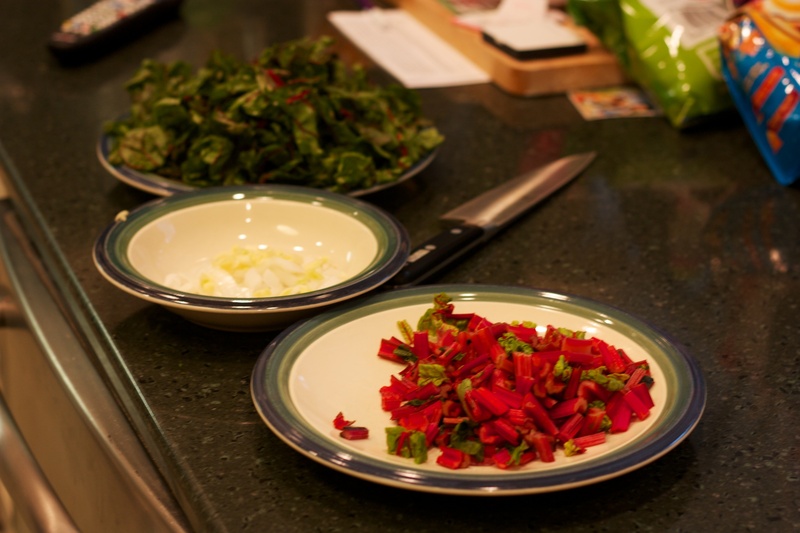 Saute for 4 to 5 minutes, or until the onions and chard stems have softened and the garlic is aromatic but not browned. 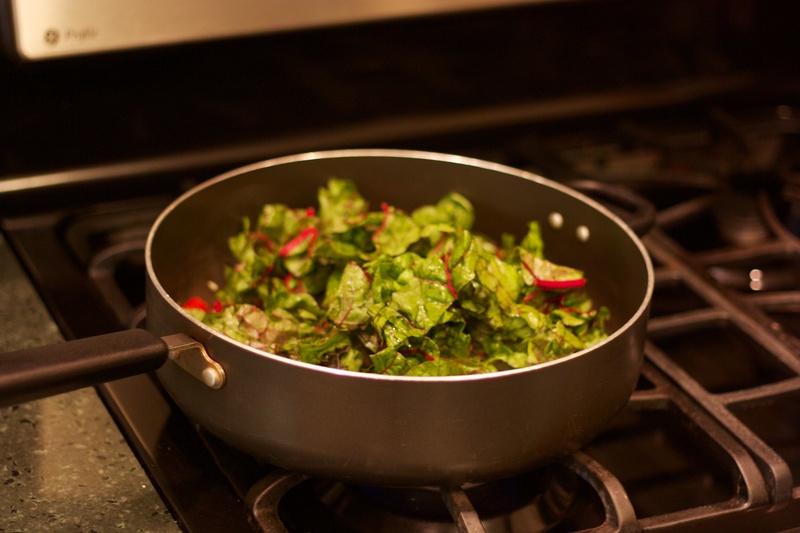 Add the chard leaves to the pan and toss to coat with oil and pan juices. Cook until leaves have wilted and shrunk, 3 to 4 minutes. 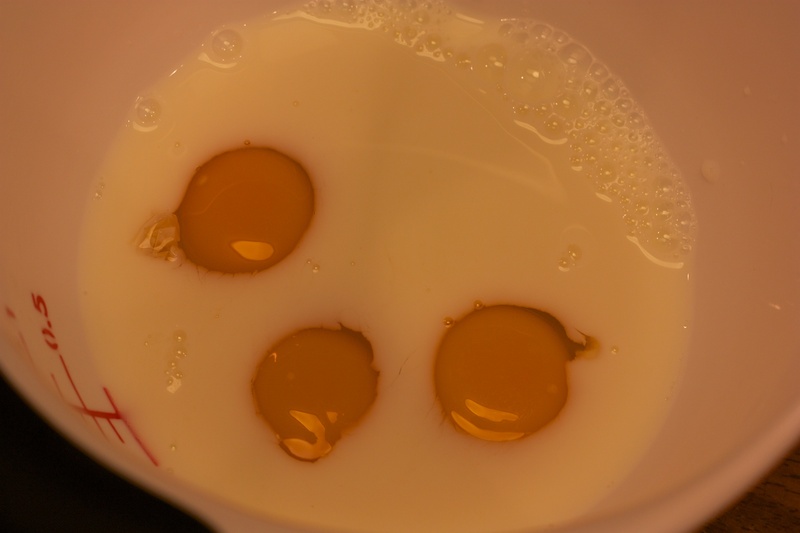 In the meantime, crack three eggs in a small mixing bowl and add the milk. Gently beat the eggs together with the milk. Add the cheeses and pinches of salt, herbes de provence and black pepper, and beat until well blended. 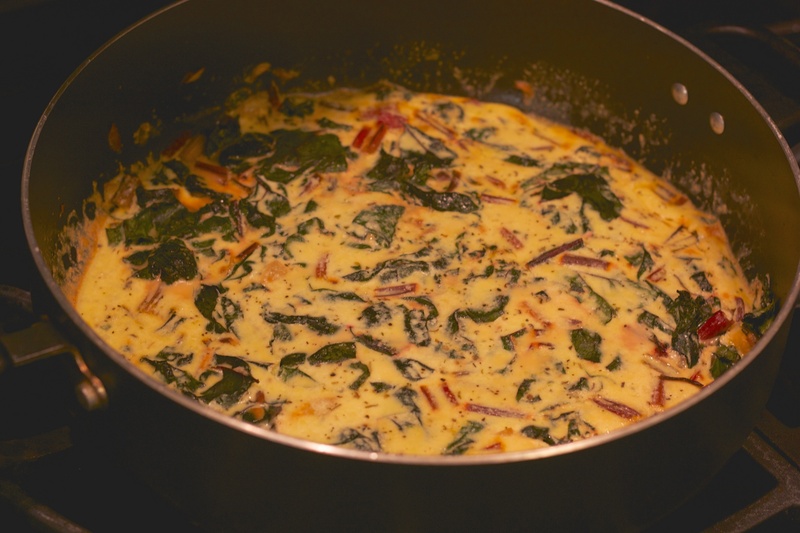 Slowly pour egg mixture over the chard and shake pan to distribute evenly. 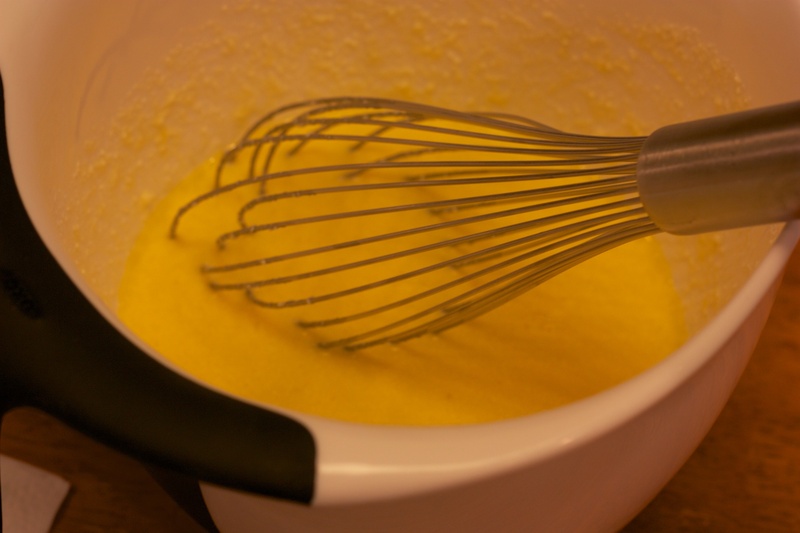 Bake 15 minutes, or until the eggs have set and any pan liquid has evaporated. CAREFULLY remove your pan from the oven (Jared’s Note: You have no idea how many times I’ve tried to take a skillet out of the oven without a mitt. I’m an idiot.) and let stand 3 to 5 minutes to set. 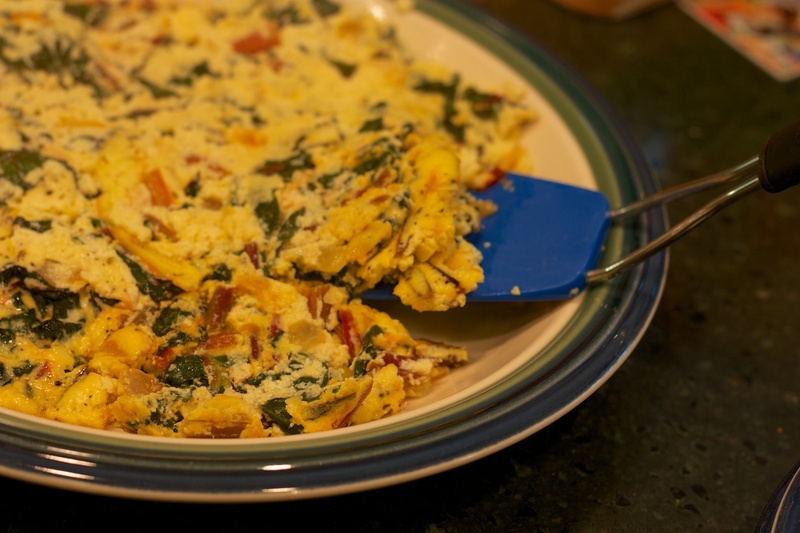 Flip onto a large dish and serve with crusty bread. It seems that you’ve included 2 sets of directions. Is it just me or is this confusing? Sloppy editing really. I forgot to delete a graf of text. Thanks for pointing it out. My pleasure! At least you know someone is reading attentively.